I think it’s time that we discuss one of the rarest modern cars in existence. Turbocharged power. All-wheel drive. European heritage. Rarity that exceeds a Carrera GT. 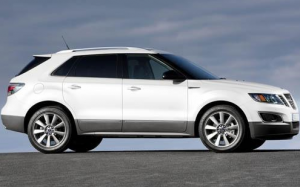 That’s right, folks: I’m talking about the Saab 9-4X. Most people aren’t aware of the 9-4X’s actual existence. A lot of folks think Saab developed it, but didn’t quite get it into production before the bankruptcy, meaning there’s a lot of center-mounted ignition switches left over at GM’s Cadillac SRX factory in Ramos Arizpe, Mexico. But that’s not the case. The 9-4X did go into production, if only for a few months before bankruptcy finally did it in. The result is an orphaned car with a loose parts network. But the 9-4X is also a unique, handsome crossover with two engines: a General Motors V6, or a 2.8-liter turbocharged V6 also used on other Saab models like the 9-3 and 9-5. That engine made 300 horsepower in the 9-4X Aero, which means that version of Saab’s swan song is a reasonably enjoyable SUV. Not that I’ve driven one. Because Saab capped production after producing less than 600 units, which means it’s about as common as a Ferrari 575M Superamerica. Fortunately, you can still find a few examples on the used market – provided that you’re willing to part with $25,000, willing to drive an orphaned car, and – most importantly – willing to spend your weekends searching eBay for parts. It doesn’t sound fun. But it might be worth it, if only so you can roll up next to an F40 at a stoplight and laugh at the notion of such an everyday vehicle. In light of my recent piece about European-market diesels, I’d like to highlight one of my favorite diesel cars in recent memory. 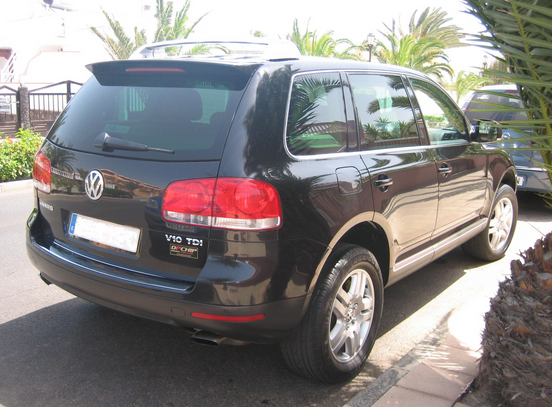 And that car is: the Volkswagen Touareg V10 TDI. The Touareg V10 TDI debuted for the 2005 model year, and – like so many cars in this segment – it answered a question that no one really asked. That question was: Why isn’t there a Volkswagen that tows like a heavy-duty pickup? Here were the particulars: 313 horsepower, which doesn’t really seem very muscular compared to the Touareg V8. 553 pound-feet of torque, which doesn’t really seem very muscular compared to a midsize ocean liner. And unfortunately, a sticker price of $59,500, which doesn’t seem very reasonable compared to anything. 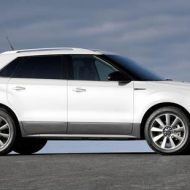 By comparison, the 2005 Touareg V8 started at $45,000. 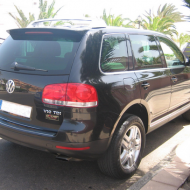 For so many reasons, the Touareg V10 TDI didn’t sell well in the States. The fact that no one needs it. The fact that no stump-pulling diesel buyer is also a VW crossover buyer. The fact that people knew from day one that it would treat the dealership service department as a second home starting the day the warranty expired. The cost to buy. Our unfamiliarity with diesels. VW ditched the Touareg V10 TDI after the 2007 model year and replaced it with a normal, fuel efficient V6 turbodiesel that a few people actually bought. But the next time you see a pre-facelift, first-gen Touareg, look close: it might be the one that can pull your house down the street. Anyway: the most recent expansion of my “save the manuals” work is to highlight the Porsche Panamera, which is not sold with a manual transmission. Why, you might ask, am I highlighting it? Because it is sold with a manual transmission. 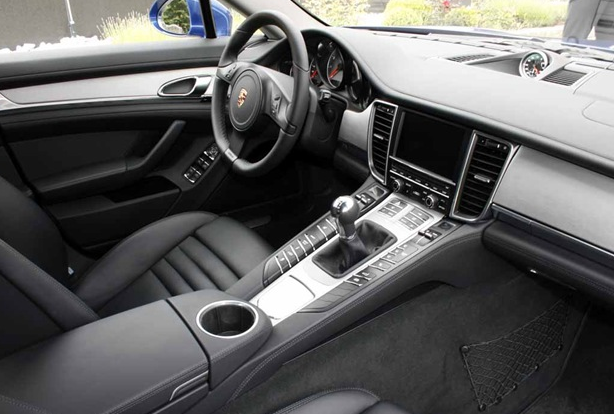 Pictured above, and also below for some reason, is a Porsche Panamera with a stick shift. 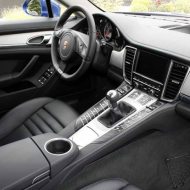 You see, in Europe, the Panamera is sold with a proper stick and three pedals. And it gets better: not only is it offered on the Panamera, you can also get it on the Panamera S. That’s right: a 400-horsepower, rear-wheel drive German sedan (hatchback, let’s be honest) with a stick shift. Sadly, the manual isn’t sold here for about a dozen reasons. In fact, the manual isn’t even sold in Europe, where I’m told roughly one person out of ten zillion actually chooses it. Still: it’s there, and it exists. Just not in the States, until someone as crazy as me decided to import one – in 23 years. Here’s one I’m not sure about myself. 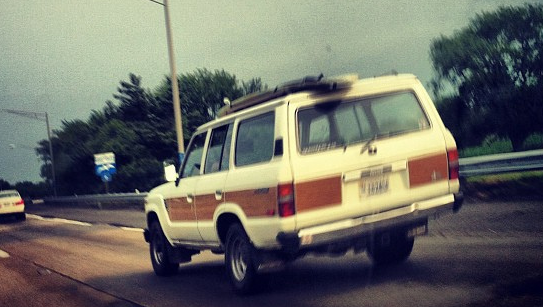 Back in the 1980s, Jeep threw wood paneling on the side of the Grand Wagoneer SUV. This was all well and good, and people bought them in large numbers, primarily so they could keep a car at their second home in Martha’s Vineyard. 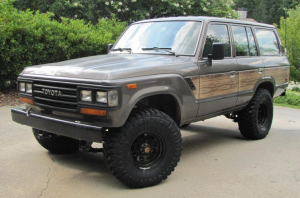 During that time, Toyota also offered wood paneling on the Land Cruiser. I’ve done a few Google searches and I can’t seem to find anything that really explains it. Was it a factory option? Was it actually wood? Was it dealer installed? And whose idea was it? After all, it seems like a blatant copy of the Grand Wagoneer. 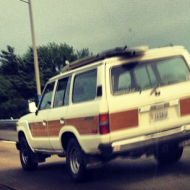 But there are many photos floating around with wood-paneled FJ60 Land Cruisers, which suggests to me it was more than just one guy’s bizarre dream. I think this was a real option, and people ordered it, and they sold quite a few this way. I was recently stunned to discover that some people don’t think Toyota is very cool. Just kidding. We all know Toyota isn’t very cool, which is probably the reason they sell a lot of cars. Most people don’t want to be cool, especially because “cool” is really a car business term for “will spend more time in the shop than on the road.” My Range Rover, for instance, is very cool. But Toyota has its flashes of actual, legitimate cool. And one of those flashes is the Celica All-Trac. Most people don’t know this car was sold in the States, but it very much was. 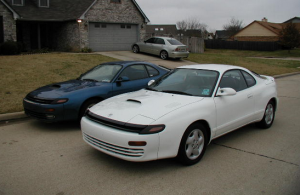 I believe they offered two models: in ’88 and ’89, you could get the fourth-generation Celica All-Trac, and from 1990 to 1993, you could get the fifth-gen. I’ve never been a fan of the fourth-gen body, but the running gear on both cars was largely the same. And it was awesome. Under the hood was a 2.0-liter turbocharged 4-cylinder that made 190 horsepower. That may not seem like a lot, but it perfectly rivaled the much more highly publicized “DSM” cars of the time: the Eagle Talon TSi, the Mitsubishi Eclipse GSX, and the Plymouth Laser RS Turbo, which was briefly offered with the same turbo/AWD drivetrain as its companions and should probably be included in a later “It exists” segment. Plus, 190 horsepower was more than enough power to move the Celica, since it only weighed around 2,500 pounds. Best of all, it included standard all-wheel drive, just like all “All-Trac” Toyota models in the late 1980s and early 1990s. The only difference was that the Celica was the only All-Trac designed for performance, unless you count that supercharged Previa. 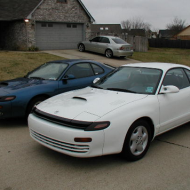 With the arrival of the 1995 Celica – arguably the most handsome model – the turbo version went away in the States. Toyota had the Supra, which meant there was no need for a high-performance Celica. And when performance returned to the Celica line with the front-drive, naturally-aspirated GT-S trim in 2000, things weren’t quite the same. I saw a Celica All-Trac on our roadtrip, and I was very excited by it. They were awesome cars. So awesome that someday, we might be sitting around talking about how we could’ve had a Celica All-Trac for ten grand if only we had bought it in 2013.